This four-bedroom penthouse at Lansdowne Place is the most expensive penthouse to have ever hit the market in Ireland, making it one of Dublin’s most coveted homes. Of the four penthouses spread across the development’s two buildings, this is the biggest. Covering 7,700 sq ft of double-height indoor and outdoor space on the Nicholson Building’s eighth and ninth floors, interiors spill out onto outdoor terraces; the 1,490-sq-ft private roof garden comes with 360-degree views over the city, Aviva Stadium (home to the Irish national rugby and football teams) and Dublin Bay. With renowned London-based studio Goddard Littlefair behind the interior design, fine craftsmanship is on display throughout (just take a look at the Pietra marble countertop, Macassar ebony cabinetry and marble-finished bathrooms). 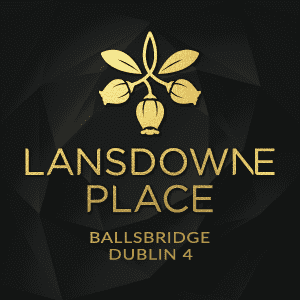 The development’s concierge is on hand around the clock and residents have access to the Lansdowne Residents Club; this social hub houses a lounge, library, home cinema and dining room, plus fitness and wellness facilities. This article originally appeared in Elite Traveler, 20th September 2018 by Lauren Hill.